The Therabath Comfort Kit is a great way to give your clients or yourself an extra special experience pre and post paraffin treatments. The kit, available for feet or hands, includes everything you need to prepare skin before, and lock in moisture following, a paraffin bath. Indulge at home and work. 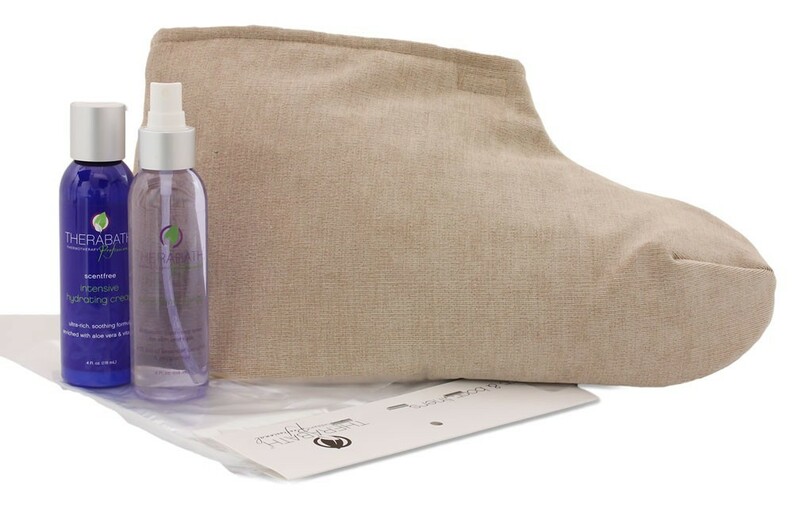 The Therabath Comfort Kit comes with all you need to pamper skin before and after a paraffin wax treatment. First, thoroughly clean feet or hands with the convenient sanitizing spray. Then, after dipping skin in paraffin wax, cover with the disposable plastic liners and slip into the insulated booties or mitts. This will help retain the wax’s heat while it works into soreness and heals dry, cracked skin. Finally, after removing the liners, booties/mitts, and wax, follow up with the intensive hydrating cream to lock in deep moisture for soft and supple skin. These booties or mitts come in a pair and work in conjunction with the disposable liners to retain therapeutic heat from the paraffin treatments on the feet and ankles or hands and wrists. They are made from heavyweight plush polyester velour and have a cotton lining and fiberfill insulation. Generously designed to accommodate all shapes and sizes with easy-to-use hook and closure fasteners to keep securely affixed. Machine washable. This antiseptic spray should be used to thoroughly clean feet or hands before a paraffin application. The spray has a light, refreshing scent and contains oils of lavender, camphor, and peppermint. Keep heat in longer while protecting your insulated booties and mitts from residue with these convenient plastic disposable liners. The liners fit all sizes of feet and hands. Each liner is perforated at the top for easy use. This deeply moisturizing cream soothes, softens and renews skin with its therapeutic ingredients which include aloe vera, vitamin E, and other natural emollients. This professional grade cream is very rich, but leaves no greasy residue. Fragrance free and ideal for those with sensitive skin. The Intensive Hydrating Cream can be used before, after and in between paraffin treatments to keep skin super moisturized. Deeply moisturizing fragrance free cream locks in hydration without leaving behind a greasy residue. We usually ship your order on the same day or the day after your payment is processed. You can expect to receive your item(s) in 1 to 5 days, depending on your location. 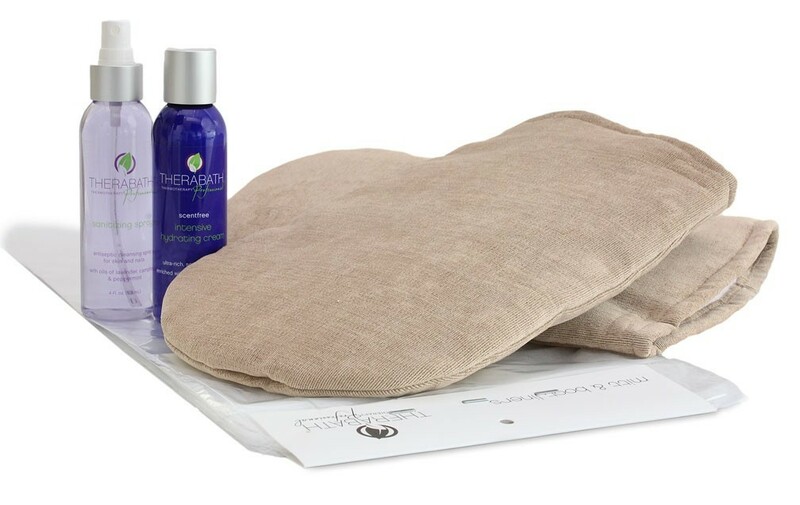 The Shipping and Handling charges for this massage product to any destination in the continental U.S.A are only $9.90 for any one or two items. For three or more, add $4.95 per item. For more details, please read our shipping info page.